But today I’m SUPER excited to be taking the whole freebie “giveaway” concept to a WHOLE NEW LEVEL. And I’m doing it by partnering with some of the TOP experts in the e-commerce industry to help you fast-track your Etsy shop’s success. This giveaway (valued at nearly $3,000!!!) 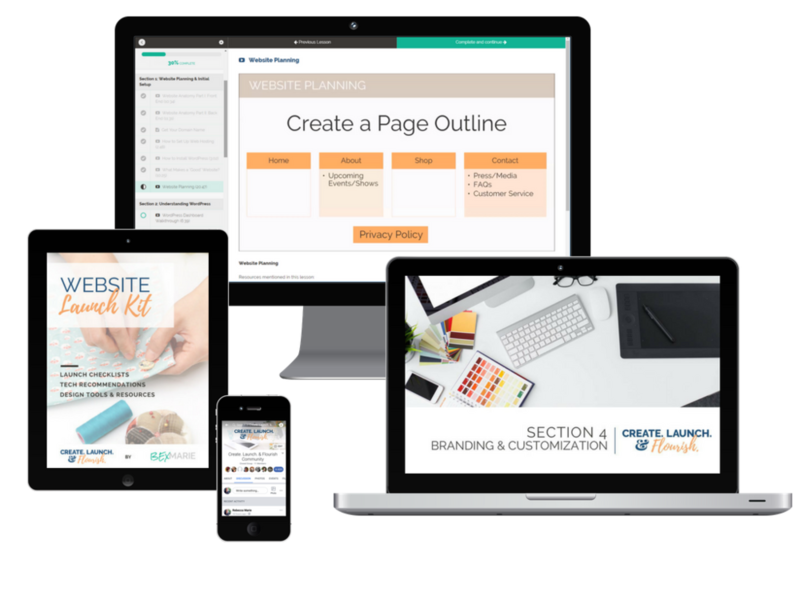 has literally EVERYTHING you need to fast-track your online shop’s success-- courses on graphic design, photography, marketing, the whole shebang. Mastermind Your Marketing is my step by step program that teaches you how to implement a profitable marketing system to bring consistent, daily sales to your Etsy shop on autopilot. Instead of trying to piece together hundreds of outdated marketing “tips” and “tricks” from the Internet, Mastermind Your Marketing will walk you through (start-to-finish) how to create an entire done-for-you marketing strategy following my signature four-part method for consistent sales (optimize, attract, convert, scale). 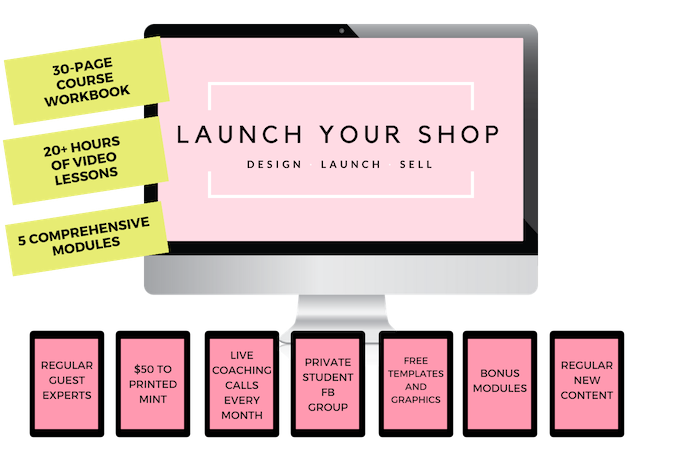 Launch Your Shop is THE program for any online business owner wanting to design, launch, and market an online shop to create an additional stream of revenue for their brand. Create. Launch. & Flourish is an 8-week DIY Website roadmap for handmade business owners who want to craft a thriving online shop from scratch. In this program, you’ll be given the exact tools and training you need (+ an online community to boot!) to go from zero to fully-functioning website— in just 8 weeks (yes, even if you’re a complete newbie!). Instead of investing years of schooling (and major $$$) in learning how to be a graphic designer, you can fast-track your success with The InDesign Field Guide. Inside this comprehensive program, Kelsey will teach you how to use Adobe InDesign like a pro to design almost anything you could need for your creative business — like lead magnets, social graphics, blog graphics, workbooks, ebooks, print books, stationery, course materials, promo graphics, and more! You’ll never have to hire out your design work again! 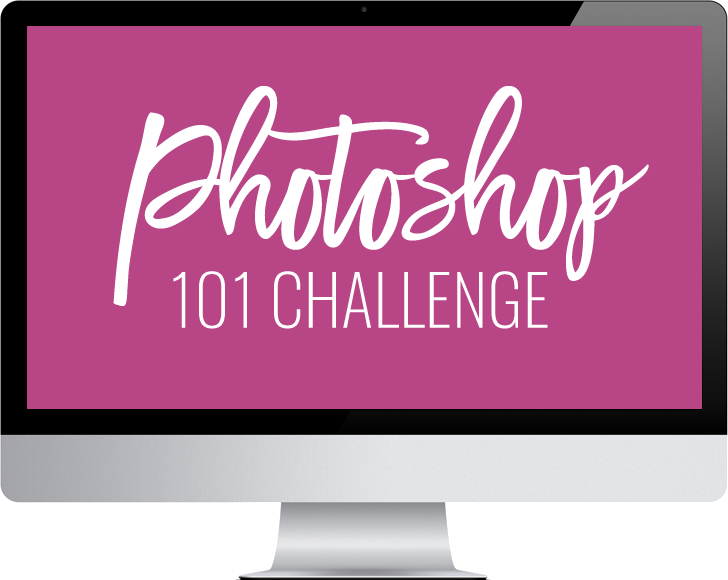 The Photoshop Mockups 101 Challenge is designed for Photoshop newbies to dive into the program and become comfortable with creating digital mockups to showcase your products. Instead of spending hours constantly tweaking and adjusting your photos in Photoshop, The Foto Rx Product Photography Editing Actions package allows you to quickly troubleshoot + edit your photos in as little as one click. Inside this action bundle, you’ll receive over 40 premium Photoshop actions (hello one-click editing! ), Etsy and social media templates, and a PDF guide with descriptions and samples of all the actions included (so you know exactly what one to use each time). The Etsy Seller Spreadsheet is a spreadsheet template created specifically for Etsy shop owners to automate and simplify their monthly bookkeeping process (no more last-minute tax-time hustle!). This tool compiles your business’ revenue and expenses each month to calculate your net profit with separate tabs to help you categorize expenses, along with monthly tabs for importing your Etsy transactional data directly from Etsy. 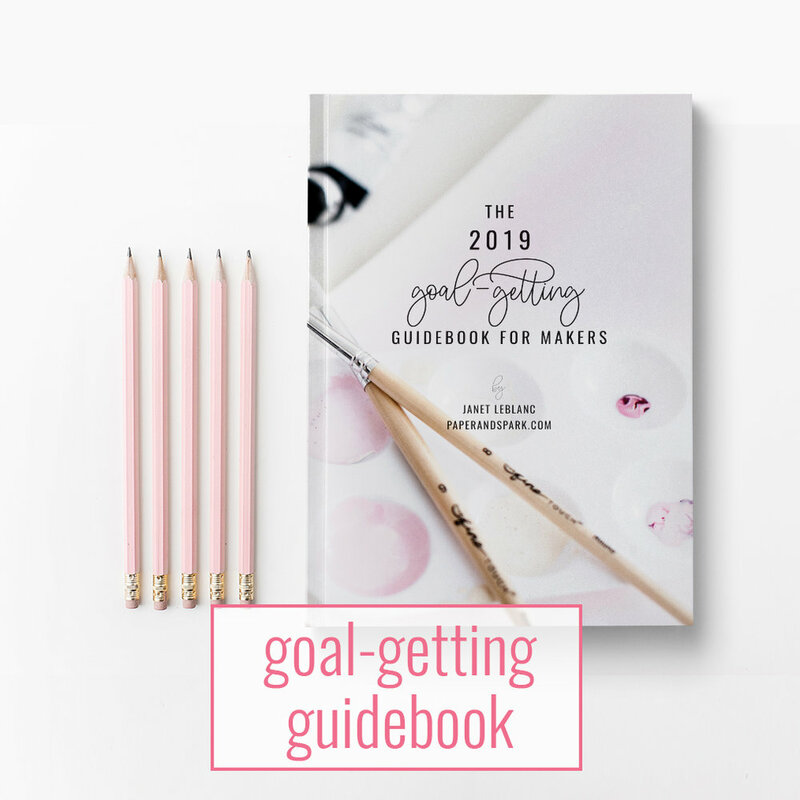 The 2019 Goal-Getting Guidebook will walk you through setting goals specific to the handmade biz industry with an emphasis in concepts like product development, seasonal trends, profit margin by product, and more. You’ll end up with a complete action plan for the year ahead, all designed around the main goal of being able to pay yourself your goal amount. Can you imagine how awesome and life-changing it would be to win this entire bundle?!! Post your Lucky URL link in business Facebook groups, Instagram comments, Pinterest, basically anywhere you can think of :) The more people that see it and enter through YOUR link, the more entries you get and the better your chances of winning! Winning this giveaway could change EVERYTHING for you-- so what are you waiting for?? One of the wonderful things about running a business online is all of the amazing people you meet across the world. People that write kind emails and let you know how much even your free content has helped them to grow their Etsy businesses. I love those emails. Unfortunately, you also get those who attempt to understand your choices better than you do and criticize you every step along the way. Since selling my Etsy shop to my sister in July 2018, I’ve had more than one comment thrown my way about how I must be a “fraud” or “not as successful as I claim to be” when it comes to running an Etsy shop. It all started in year 3 of selling on Etsy. I like to think of “Highbury Place” as my Etsy experiment. This is where I first learned about the platform (and boy was it overwhelming at the time! ), where I first learned how to print off postage in my home (a novel concept! ), and where I learned that spending $2.50 for an envelope at the local post office was NOT going to be profitable long-term. I made a lot of mistakes. Like, A LOT. (My biggest one being that SEO is the make-it-or-break-it strategy of Etsy). But that’s not to say that my mistakes didn’t pay off-- they did. And when I opened Little Highbury in 2013 (after learning A LOT through trial + error, and investing in a business coach + online courses-- yes, I actually PAID money to learn how to make money-- best decision I ever made :), LittleHighbury opened its doors “officially” in November 2013 to the tune of $1,789. And that was--literally-- just the beginning. Armed with a new strategy in hand (hello, marketing system!) and experience under my belt, to an outsider it looked like LittleHighbury was an instant hit and that things almost came “too easy” for me (I’ve had more than one person accuse me of that). On the surface, it looked, well, effortless. Within a year I was making 600-700 sales/MONTH and averaging around $700 - $1,000 in gross revenue PER DAY. And when the holidays hit? (and if I was running a sales promotion, that number went through the roof). But behind-the-scenes was a completely different story. And a whole lotta grunt-work (those orders don’t fill themselves, yo!). (note- I am not complaining about selling and making money. I realize this is genuinely the best possible problem to have with an online business and I am forever grateful for the opportunities it gave me and the doors that have opened because of it. I am merely sharing how it emotionally felt to me at the time). Because here's the deal: Besides being the owner of LittleHighbury, I was also a stay-at-home-mother (to a VERY busy toddler! ), wife, active church volunteer, and chief "errand runner" in our home. Try to work AND tend my child at the same time was beyond frustrating. I needed separate time to focus on each. There is no way to succeed at all of those things all at the same time. Balance is great in theory, but not practical (or possible!) in execution. These "realizations" led me to hire my first “employee” (and I use that term VERY informally ;). This "employee" was actually just a local high school girl that needed a part-time job to work around student-council obligations and she didn’t actually “work for me” because she was contractual (meaning she wasn’t technically an employee so I didn’t have to pay taxes or provide benefits-- so don't come asking me about those details because I don't know them!). She started by taking up the menial labor tasks like cutting fabric and sewing headbands and I felt like I could FINALLY breathe again. My mom was hired shortly after that. And a couple of local stay-at-home mom friends right after that. 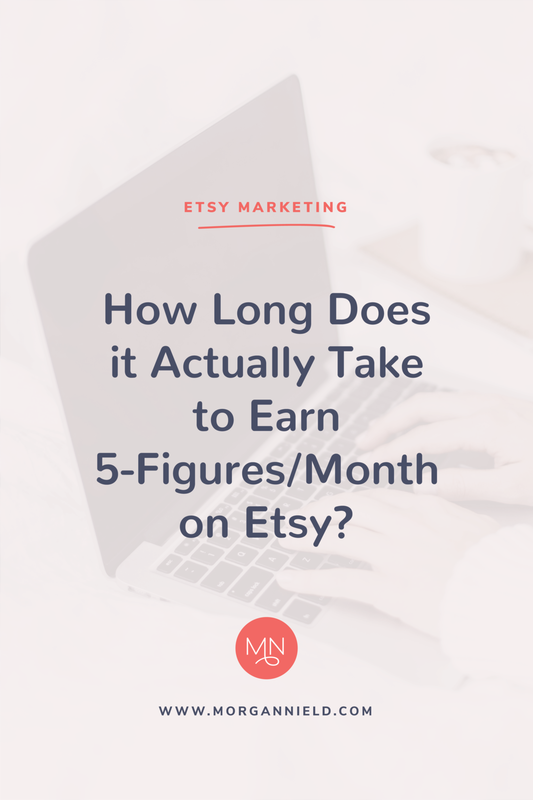 Within a year I had gone from a one-woman show to 5 people running an Etsy business that consistently maintained five-figures/month. But with help? It was manageable. It was around this time (we had just had our first $20K month) that I got my first “How do you do it? !” question on Etsy. I received probably about 10-15 conversations/day on Etsy asking questions about my products/ordering/wholesale/etc. I had a canned set of responses (definitely something to consider doing if you aren’t already!) that saved me OODLES of time with these questions. My goal was to spend less than 15 min/day in my Etsy inbox. But when I received my first “How do you do it?” question about running an Etsy shop I couldn’t believe it. Someone was asking me (ME!) about how to run a successful business on Etsy. And I took 45 minutes answering that question in so much detail that the poor Etsy shop owner probably had to split the reading into a two-part session. And I had FUN answering it (wha?!)! That question was--literally-- just the beginning. The more LittleHighbury sold, the more the questions seemed to flow in from ready-to-hustle entrepreneurs that were willing to do the work (MOST IMPORTANT PART OF THE EQUATION!) but just didn’t know what “work” to do. I answered probably about 15-20 of these questions via Etsy convos super in-depth before I saw an ad on my Facebook home feed for a FREE Etsy training from a couple who averaged 125 orders/month selling on Etsy. And people were FREAKING OUT in the comments at how awesome it would be to make that amount of sales. Note: At this point in my business I was hitting 600-700 sales/month. And that’s when I realized that THIS could be a business, too. Within a few days (and even without a website!) I booked my first one-on-one call and charged $247 for a 60-minute one-on-one coaching session with a client (which included a 60-minute Skype call, 2 weeks of email support, and a personalized marketing plan). She left THRILLED with the direction and guidance that I offered (and is making BANK now with her shop!) and I couldn’t believe that I had--figuratively-- sold my knowledge and experience-- and made a decent chunk of change doing it. Also? I didn’t have to ship out a product at the end. (<-- I’ll admit, this was a big one for me, ha!). While I was still running my Etsy shop full-time, I was booking more and more one-on-one clients (and having the time of my life chatting with other business owners!). But there was a major problem. The 60-minute phone call sessions? They took up TIME (truth: you can’t rush a 60-minute call-- it’s ALWAYS going to be 60-minutes [and usually turned into 75 minutes because I can’t stop talking about marketing!]). Time I didn’t *really* have if I was being honest because LittleHighbury was still so. dang. busy. Like I mentioned earlier, I’m not super-woman, nor do I ever pretend to moonlight as her or profess to have ANYTHING in common with her. I’m seriously just your average human being. And being average with that kind of schedule? Well, something had to give. I wasn’t working IN my Etsy shop much nowadays (thank you, employees! ), but I definitely was actively working to drive traffic to it (following the system I outline in Mastermind Your Marketing). And even with a streamlined marketing system, it still takes a bit of time to stay on top of things. And so I gave up marketing my Etsy shop. ...I stopped adjusting my SEO every 4-6 months. ...I stopped posting on Instagram every day. ...I stopped creating new blog posts and actively growing my email list. Why on earth would someone choose to stop doing what was working?!?!? I was making serious money OFF of Etsy. My Etsy shop wasn’t the ONLY thing that was working for me. With VERY little effort on my part, I was booking one-on-one clients to chat marketing and making $497/hour doing it (yes, I raised my prices early on and people STILL kept booking with me). I had lost my passion for my target market. Now this is a seemingly trivial piece of the puzzle that a lot of people don’t understand. What does “passion” have to do with making money? If you’re making six figures and doing it consistently, why does “passion” even matter? You’re making money! Enjoy it! I was SO thankful that this Etsy business had taken off. We were the definition of poor church mice when I started (I had to take a $300 loan from my mom to buy inventory because we--literally-- couldn’t afford to buy supplies), and without it? But was I passionate about my “dream customer” or “target market”? I’ve always been fairly transparent about my journey into motherhood-- it’s not something that came easy to me and it’s still a challenge almost every day. I’m not what you’d call a “natural fit” for the role-- and even though I was making baby products, I didn’t enjoy conversing with other mothers about sleep training, swapping debates about homeschooling vs. public education, or talking about the divine blessing that being a SAHM is. (truth- I get so much social anxiety going to play groups because motherhood and kiddos is ALL anyone ever talks about at those places). So even though I tended to avoid those conversations in "real-life," having a baby accessories business means you are surrounded by those types of conversation all day every day (no brainer, I know!). From 2013 - 2016, I was of the “fake it til you make it” mindset when interacting with my customers and fans. I swooned over their baby photos, offered tips on parenting that I had learned from raising my own daughter, and obsessed over the latest baby trends because #socute #amiright. But it didn’t feel natural and I didn’t enjoy it. There was absolutely nothing wrong with those who could talk 24/7 about #allthingsbaby (I admire you so much! ), but in the words of Amy Poehler- “Good for her, NOT for me." But with business questions? Marketing? I could (and would, if I wasn’t careful!) talk about those things all day. That’s when I came to the realization that I could adapt my business to better fit MY needs and dreams-- and that was OKAY. Even though I started plugging away at MorganNield.com back in late 2016, I still kept my Etsy shop. No, I wasn’t actively marketing it (which was a relief in so many ways! ), but it was still making daily sales (average about 10-15/day with residual marketing from all the efforts I’d put in over the years). And because those Etsy sales had--literally-- given us a roof over our head and food in our bellies-- I was more than a *little* queasy at the idea of closing the shop. After all, we had lived off this income for YEARS. Would it be possible to make do without it? Truth bomb: Building MorganNield.com while managing LittleHighbury was not the walk in the park you’d expect. When I wasn’t fulfilling orders, I was writing blog posts. When I wasn’t answering customer convo’s on Etsy, I was juggling one-on-one client coaching calls. Oh, and I had that thing called “family” that I enjoyed hanging around with (although by this point I'd almost forgotten what they looked like...kidding). It caused me to have a mental breakdown in February 2018. As in curled-in-a-fetal-position, hunched over sobbing in our bathroom with the fan on for hours at a time not being able to physically move. And that’s when the doors to Little Highbury closed for an “indefinite vacation”. Now you may be asking "What went down in February that changed things?" I was in the “pre-launch” phase of my third round of Mastermind Your Marketing. Lest you think launching an online course is easy (hahaha! ), let me clear that up for your right now: It’s not. Is it rewarding? Yes. Profitable? Yes. Amazing? Yes. I was reworking the course to be even better than it was. This essentially meant starting from scratch again and adding SO much more to it to make it as done-for-you-marketing as possible. Managing 10-15 daily orders with Little Highbury. A (surprise) positive pregnancy test and almost immediate puking non-stop. (yep, apparently I’m one of those “lucky ones” that gets hyperemesis gravidarum like Princess Kate Middleton and spends the next 2-3 months working out of the upstairs bathroom in-between puke sessions). So we’ve established that by this point in my businesses (February 2018), I was still running Little Highbury AND MorganNield.com. I thought I could keep doing both. After all, they were both INCREDIBLY profitable (Little Highbury was still hitting $100K even without the heavy marketing [or any marketing at all, if I'm being honest], and MorganNield.com was WAY past that already). From a financial standpoint (and logically, as well), it made sense to keep both businesses going. And whenever I casually mentioned “killing off Little Highbury,” people looked at me like I was CRAZY. Like, why would you ever get rid of something that made you money like that?!?! I’ll spare you the details of my pros and cons lists for both (yes, I’m a little Rory Gilmore sometimes) and assume that after reading through this post you’ll know which one was the obvious choice. And just like that, Little Highbury became a part of my past. Yes, I GAVE UP a six-figure business. Yes, I WALKED AWAY from something that was already working. Yes, I WENT AGAINST every logical and financial bone in my body and put my shop in “permanent” vacation mode (for the first time ever!). And instead? I went ALL IN with MorganNield.com. (and--literally-- doubled my annual revenue with that next Mastermind Your Marketing launch (which I basically executed from my bathroom floor-- now how's that for a happy ending!?). Giving up my Etsy shop after 4+ years of selling? Now you may appreciate my decision, or you may violently disagree with it. That is totally up to you. I give you 100% permission to over-analyze my story above and come to your own conclusions about my decision and whether or not you think I'm a "fraud" for walking away from Etsy. (know, however, that during the time you’re analyzing MY business, you’re wasting valuable time that you could be using to actually grow yours ;). And for one final FAQ: What did I do with Little Highbury? For those of you who know my story, you know that I created Little Highbury at an EXTREMELY vulnerable time in my life (it was my main coping mechanism that I used to deal with my post-partum depression after my daughter was born), and it didn’t seem right to “sell it” to someone that most likely wouldn’t have understood the backbone of why I was doing what I had done. That's why when most people asked about me selling, I always told them, "Nope-- I'm letting it die a slow death." And truthfully? I had every intention of keeping that “vacation mode” on for the remainder of the year and eventually closing out the shop by the end of 2018. And then my sister came to me with a business proposition (fun fact: I’m from a whole family of entrepreneurs) and presented an agreement to “buy out” Little Highbury because she was in need of a project to keep her busy (Ha! Joke's on her!). ***Edited for clarification: I did not "sell" her the shop (yes, I am aware that is against Etsy's TOU's!) -- I am still "unofficially" overseeing things with LittleHighbury, however, she is the COO. She is in the process of setting up her OWN shop on Etsy and has purchased the inventory/equipment/marketing that I have used with LittleHighbury in the past to create her "new" shop. Now before you come to me asking for help on drafting contracts and negotiating terms for selling a business, know that my sister is one of the most Christ-like people I know and doesn’t have an advantage-taking bone in her body. Seriously. (it gets really annoying sometimes because she’s always so...good :P) Yes, our agreement is written down, but it’s not your typical “legal” document and there wasn’t a notary present and all that jazz. Will I go back to Etsy one day? And if you made it to the end of this post, thank you. Thank you for hearing me out and taking a minute (or 60) to understand where I am coming from and to learn more of the "why" behind my business decisions. I feel like people always gloss over the less-than-glamorous details of business evolutions, and I want you to know that it's okay if your business is currently a hot mess and you're overwhelmed. And business evolution is a TOTALLY normal (and good!) thing. Don't ever feel like you have to stick with something that doesn't bring you joy. You've got some crazy-ambitious revenue goals and you're willing to do the work. But what work are you actually supposed to do!?! It's a question I get asked A LOT. In fact, most creative-type Etsy sellers are absolutely KILLER at creating beautiful product. But when it comes to actually marketing it? They don't have a clue where to start. Sure, they've hopped on Google and typed in "how to get found on Etsy" and found approximately 1 bajillion outdated and extremely vague tips and tricks about SEO, but as for an actual marketing plan? In fact, my student Molly was the EXACT same way-- she had an amazing business idea (you can check her out HERE!) and more creativity in her little finger than I have in my whole body (true story! ), but when it came to selling? She had absolutely NO idea where to start (probably similar to you!). Molly enrolled in Mastermind Your Marketing in May 2017 (when it first launched-- I can't believe it's been over a year!) and opened her Etsy shop just a couple months later. But you may be thinking "Sure, Morgan-- but that was MONTHS ago. Is she still selling that much?" Are success stories an everyday occurence inside Mastermind Your Marketing? Are these students "special snowflakes" with unique situations (although I do happen to think each of these students is pretty dang awesome!)? Do they have a 100% unique product that no other Etsy shop sells? Do they rely on "free" strategies on the internet to get where they wanted to be revenue-wise? Each of these case studies enrolled in Mastermind Your Marketing, did the work (important! ), and saw the results. And guess what? They come from selling a variety of products-- baby accessories, photography props, jewelry, and wedding stationary. There's honestly no "one size fits all" niche for successfully marketing your shop on Etsy-- ANYONE can be successful. You just need to have a profitable marketing system in place. ...a system that completely takes the guesswork out when you'll make your next sale (you're in control, yo!). Oh, and did I mention that once you've got it set up, it's just rinse-and-repeat from here on out? 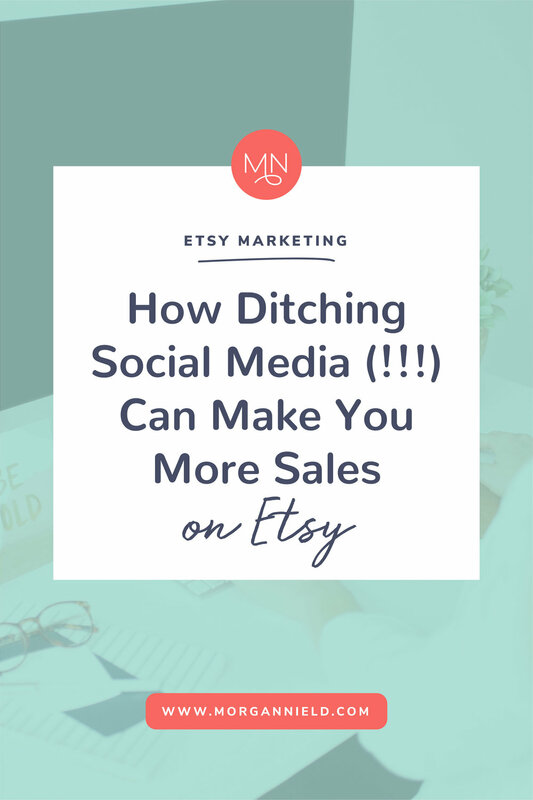 Spoiler alert: There is no "secret trick" to selling on Etsy. Every successful Etsy shop out there will tell you that it takes WORK to make $$$ happen. But can you imagine if someone held your hand and walked you through exactly what "work" that needed to be? Consider me your personal mentor-- I'm going to show you EXACTLY what to do in the EXACT order you need to do it. Ready for the course that will change EVERYTHING for you about selling on Etsy?